Dance is a very physical activity that requires a lot of jumping, which can put stress on bones and joints. Most dance footwear does not provide any cushioning or support, so the shock of dance movement can place a lot of pressure on the knees and back of a dancer. The best way to prevent against potential injury is by choosing a studio with a professional “floating floor”. A floating floor is a dance floor that rests on a system of high-density foam, to absorb the shock of jumping. A high-density foam base is superior to a “sprung” floor, which usually consists of a wood structure built on the regular floor. All of our studio locations have floating floors that have over 700 high density foam blocks under the floor surface and a marley top surface that is imported from England. 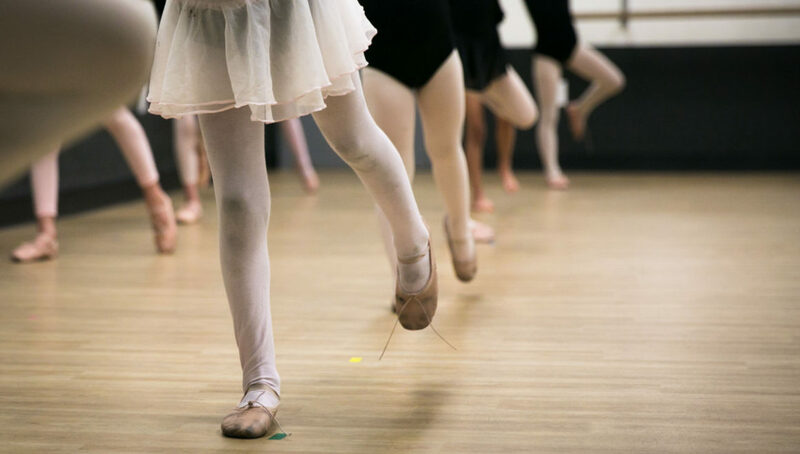 Our special floors help reduce the risk of injuries and allow students to dance longer without getting tired.